Originally published under the title Jerusalem Arabic, "Eastern Arabic" is the gold standard for anyone beginning to learn the Arabic spoken by the Palestinians, or those who live in Syria or Lebanon. The "Levantine" Arabic, or Jerusalem dialect, is a central Middle Eastern dialect and recognized by Arabs virtually anywhere - in large part due to the Palestinian diaspora - and a good choice for anyone wishing to learn a base Arabic dialect. 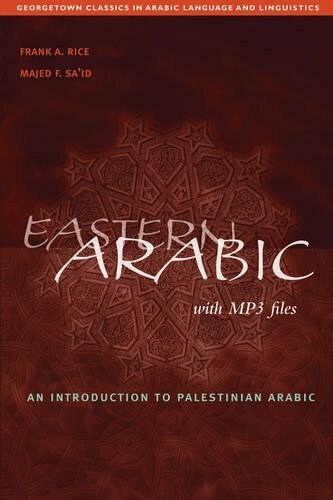 Eastern Arabic, though originally produced more then 50 years ago, still provides the best introduction to the essential features and vocabulary of spoken Palestinian Arabic. Untill J.Elihay's "Speaking Arabic" is fully available, this work by Rice and Sa'id is a must for the English-speaking student of this dialect.